A few years ago, I found a batch of four almost-mint-condition ice cream posters on eBay and bought them. Now, years later, I finally decided to scan them on my mongo art scanner so they are preserved digitally just in case something happens to them physically. I love the posters' large size of 13-inches by 20-inches. I don't know if they ever hung in an ice cream parlor as was their intended purpose or if they stayed packed away in a storeroom for decades. 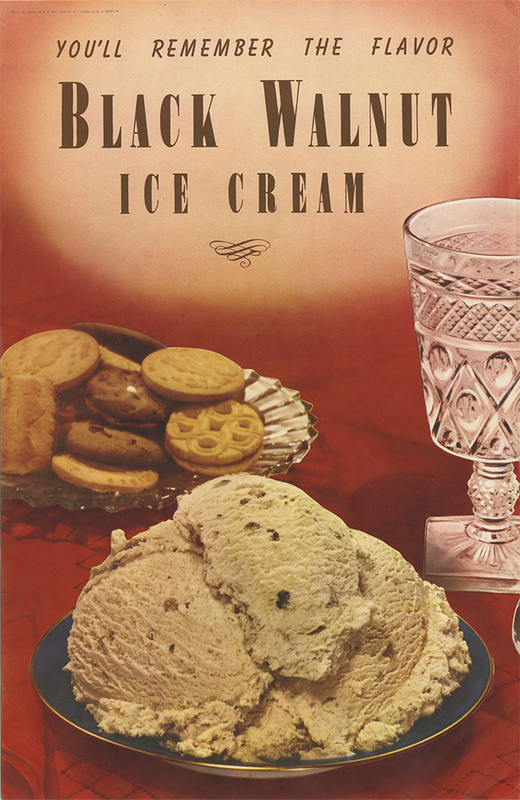 I like to think that they hung on the wall of an ice cream parlor to entice customers to try luscious rare flavors like black walnut. I was once asked if it was hard to have giant posters of ice cream hanging on my walls—wasn't I tempted to constantly eat ice cream they asked. My answer was no. I have to admit that I've always seen dessert foods as art with their decadent colors, textures. and shapes. 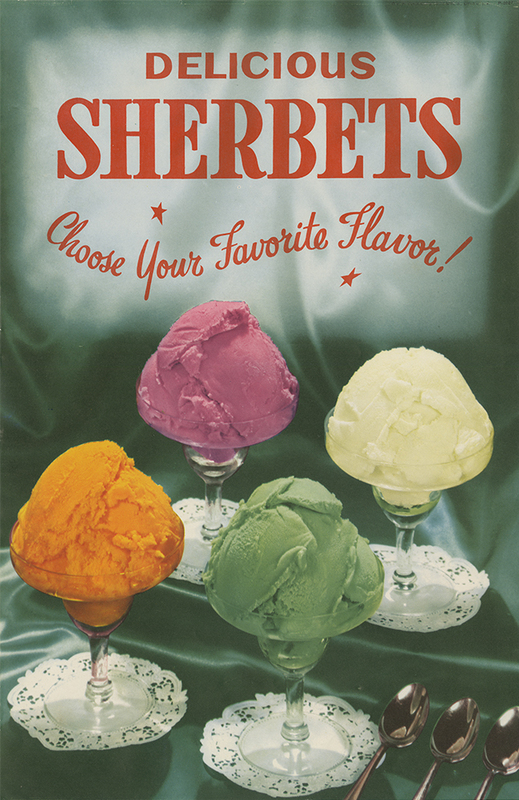 And with vintage images laden with reds as in the poster above, I am more distracted by the vibrance of the color than by the ice cream... that and the great typefaces used. Yes, I am an odd one.